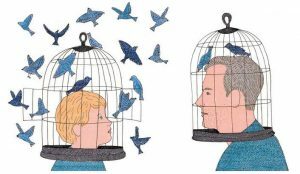 Posted August 27th, 2017 by Mike Boyes & filed under Adult Development and Aging, Child Development, General Psychology, Higher-Order Cognitive Functions in Aging, Intelligence. Description: What makes something creative? The answer to THAT question is complicated and uncertain despite decades of reflection in Psychology. But sidestepping that question for the moment think about this: What would make young children more creative than teenagers or adults? Are their brains less “committed” to typical question answers? Are they simply more open to “crazy” possibilities? Are adults just getting cognitively slower? Think about what hypotheses you might come up with in response to this question and then read the article linked below written by two research psychologists who have direct assessed several of their hypotheses in this area. So did the researchers address some or all of your hypotheses while assessing their own? We often think of creativity as that which takes us beyond the typical, standard and known and into the novel, new and unknown, reorganizing what we see or know or entertaining new ways of viewing and thinking about things in the world around us. The developmental implications are interesting. Perhaps creativity is that which young children use in their efforts to organize and make sense out of new (to them) experiences when a ready explanation or knowledge kernel is not available to them. Perhaps it makes sense to say that sometimes children are simply making it up as they go along. It is also interesting that for adolescents it seems the physical world has largely resolved into the known background and less creativity is needed in relation to it as their foundational knowledge about the physical world is built. The social world, however, is still of intense interest to adolescents. Developmentally they have only recently figured out that much of the social world is driven by people’s inner thoughts, emotions, and personalities – things that are not directly observable or easily inferred. This leads adolescents into intense and creative efforts to figure out the people and social events and situation around them. (Yes that IS why junior high is the way it is…). Beyond this, it is worth hypothesizing a bit about what the advantages might be of encouraging creativity or creative thought processes into adulthood. How does the use of creative thinking seem to change developmentally? What are exploration and exploitative thinking? How are they different? What role might each kind of thinking play in development at different ages? What does this view of creativity suggest about the way we think about creativity in adulthood? Is that characterization of creativity sufficient to account for your own thoughts about creativity in adulthood? Gopnik, A. (2016). The Gardener and the Carpenter: What the New Science of Child Development Tells Us About the Relationship Between Parents and Children. Macmillan. Christian, B., & Griffiths, T. (2016). Algorithms to live by: The computer science of human decisions. Macmillan. Taylor, I. (2017). Perspectives in creativity. Routledge. Smith, J. K., & Smith, L. F. (2017). The Nature of Creativity: Mayflies, Octopi, and the Best Bad Idea We Have. In Creative Contradictions in Education (pp. 21-35). Springer International Publishing.